Chris Boyd was left to reflect on a 'very memorable' first trip to Welford Road after the Saints boss saw his side claim a superb 29-15 win on Friday night. A Tom Collins double added to Cobus Reinach's opener as the black, green and gold produced a comprehensive Gallagher Premiership performance. Leicester were unable to really threaten Saints but the home side did eventually grab a couple of tries, through George Ford and Tom Youngs. 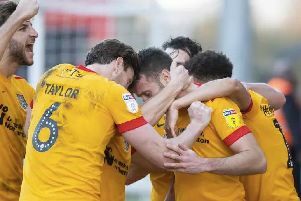 The game was gone by then though, and Boyd was delighted with what he saw from his team, who won at the home of their local rivals for the second season in succession. 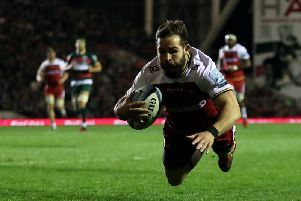 "It's my first experience of Welford Road and it's a very memorable one," said Boyd, who arrived at Saints from Super Rugby side the Hurricanes last summer. "It's a good victory and we'll enjoy it, but a good performance is even more enjoyable. "For 60 minutes we were pretty tidy. "They needed the points like we did and after winning the Premiership Rugby Cup last weekend, it's been a good few days for us." Leicester had brought back five England internationals for the game. But they were no match for a slick and motivated Saints side. And Boyd says he and his coaches could feel a good performance was coming after the teams warmed up at Welford Road. "I knew we would have to play really well to beat them because on paper they're a really good side," Boyd said. "I was genuinely nervous but when we came out and warmed up we had a real edge. "That first 40 minutes was a result of what happened in the 20 minutes before the start of the game. "It was really great to see."